The first litter of puppies we pulled were on 2/27 from Memphis Animal Shelter. Them along with a 1 year Bruce (who's now adopted) were our first pulls on 2 years. In the past 2 years we helped few local animals and did alot of community work as your awesome paper has covered. I was shocked to see puppies were on death row. 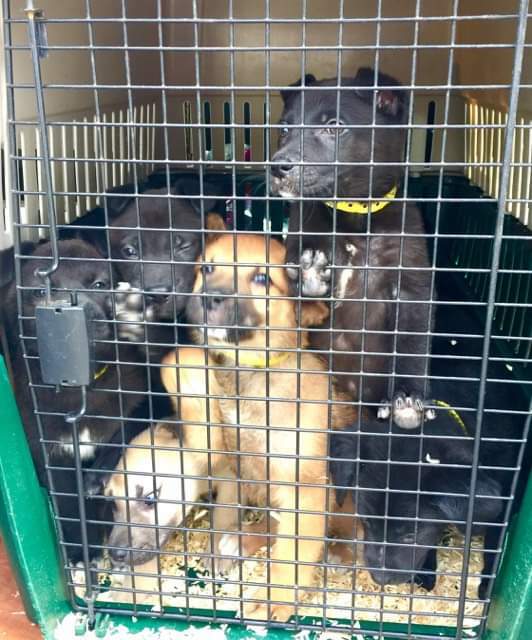 We got our approval to pull senior dogs which we still were doing but on our very first day of approval we were sent a super urgent email on 4 8 week old puppies with sarcoptic mange and rat Poison. We just formed a relationship with NorthGate Animal Hospital in Memphis and while they educated me on how expensive rat Poison ingestion was (over $1300) we didnt blink and agreed to save their lives. The vet tech Lori there was so motivated by all of this she drove 40 minutes to Memphis Animal Shelter to pull the 4 puppies along with Bruce. Two of the puppies had a very dire prognosis. They were bleeding & foaming from the mouth and I was warned the next morning may be rough. Everyone on our Facebook page and an awesome dog name Teddi B who was another Northgate Animal Hospitals employees dog donated blood and the 4 boys blossomed and grew in size. They were held in isolation for a month to make sure they were 100% healthy and are officially as of writing this en route to Massachusetts to head into our state required isolation till Monday night . Then on March 8th we recieved another urgent email from the shelter about 7 teeny puppies weigh 3.2 pounds and 6 weeks old. We committed to 3 puppies all boys thinking there is no way the other 4 puppies will be unclaimed. 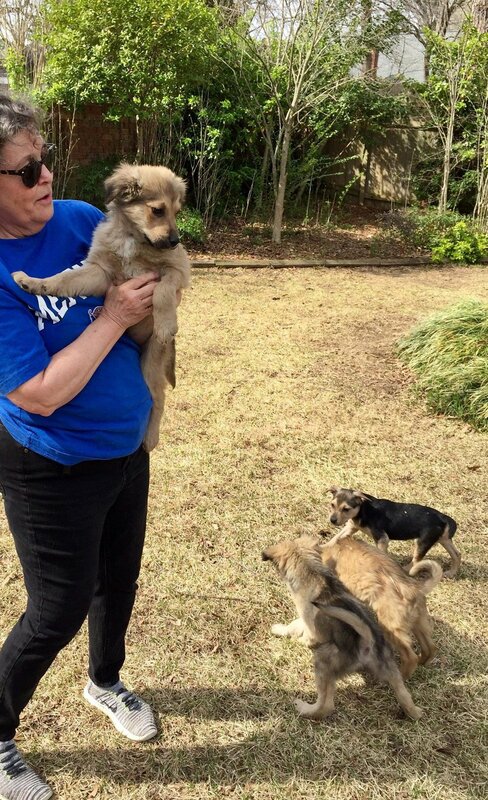 We sent Barbara our awesome new volunteer down in Memphis to pickup the 3 and were giving the bad news the 4 remained super urgent and unclaimed and their time was running out. So we took all 7 putting our total to 11 puppies. We consider Memphis Animal Shelter one of the best shelters in the country . They work so hard to save them all and get bombarded daily with animals and we are honored along with two amazing vets in Memphis and a great network being built to be assisting them .